How clever - and cute!! Sweet birthday card...love those wonderful snowflakes. 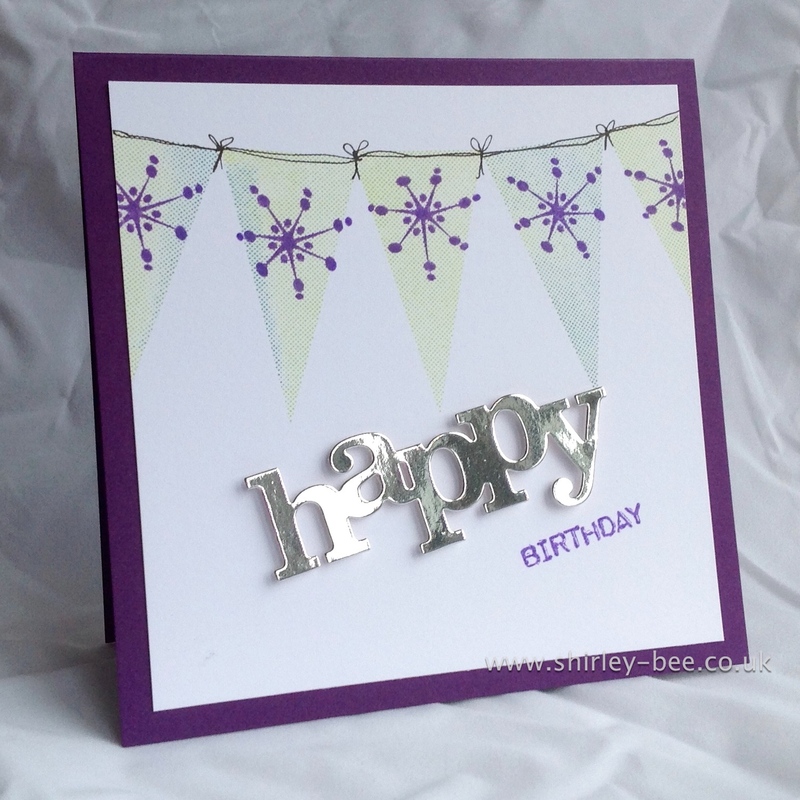 Great card Shirley, and I love this colour combination! This is one seriously amazing card! The "tree" banner, the snowflake 'starbursts, the scribbly string and the shimmery happy...genius! Totally genius!